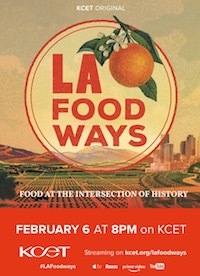 A new documentary on KCET. Premieres February 8, 2019. Cockefair Lecture, University of Missouri-Kansas City, talk: “American Eden,” Pierson Auditorium, 12:30 pm, Kansas City, MO. August 15, 2017. A special edition of the KCET documentary series "Lost L.A." exploring the history of one of Southern California's most beloved public gardens. Also streaming on kcet.org, linkTV, appleTV, hulu, and roku. Kansas City Public Library, talk: “Dream Cities,” 6:30 pm, Kansas City, MO. April 25, 2017. Op-ed essay, "Are We Greening Our Cities, or Just Greenwashing Them?" included in 9th ed. of compilation Signs Of Life in the USA: Readings on Popular Culture for Writers (Macmillan, 2018). Originally appeared in Los Angeles Times, March 6, 2016.